Special Olympics Nebraska is incredibly thankful for our coaches and volunteers. The hard work, dedication and passion they provide to our Movement is unmatched. Let's not forget the reason behind it all--the athletes! If you know an athlete, coach, or volunteer that deserves recognition, nominate them today! Click on the appropriate tab for your nominations. Athletes of the Week are accepted, and encouraged, year-round. 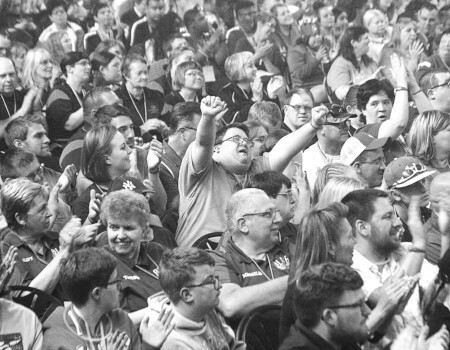 However, Hall of Fame nominations for coaches and athletes, as well as nominations for Coach and Volunteer of the Year are announced at Summer Games Opening Ceremony, May 23rd, 2019. The deadline for those nominations is April 15th, 2019. Thank you for taking the time to nominate a special individual that makes Special Olympics Nebraska a success!